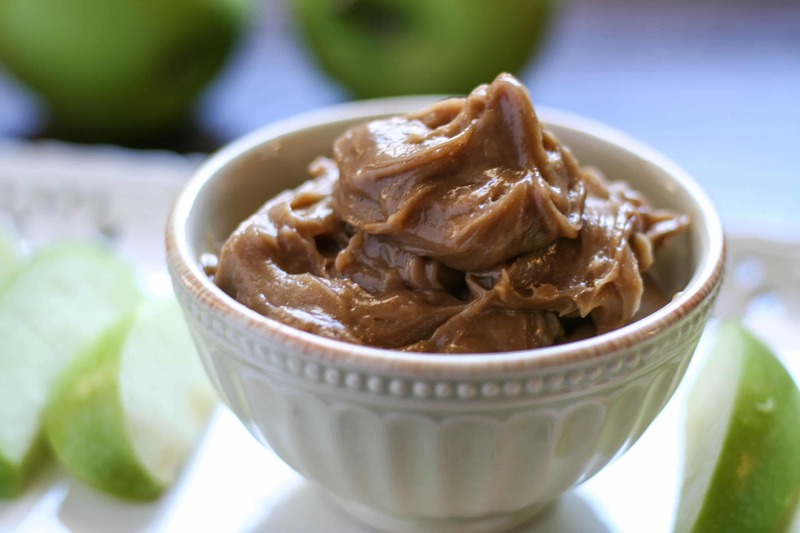 This creamy apple dip is peanut (and tree nut) free, using sunflower butter in place of peanut butter. 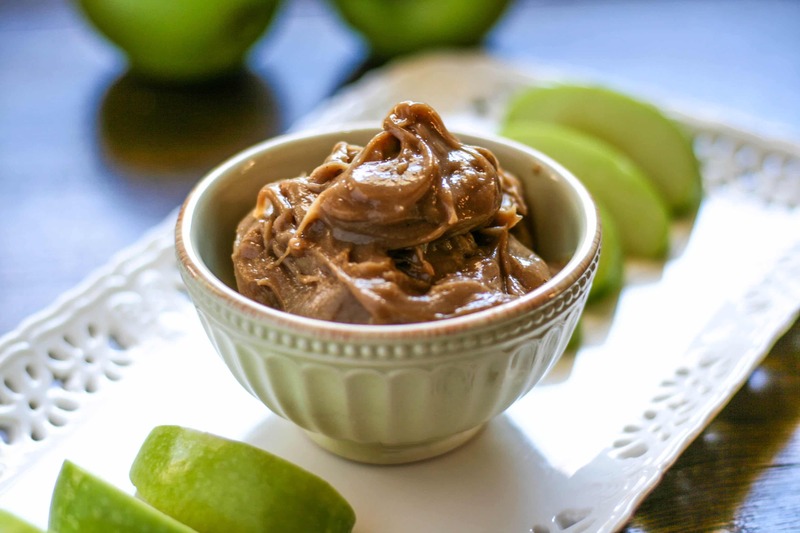 This creamy apple dip was also included in my free Fall Paleo ebook, but I’m sharing it now since I’ll be retiring that ebook and replacing it with a new one for the upcoming Christmas holiday! If you’re looking for a quick appetizer or just an easy sweet treat to have on hand, this will do the trick. It’s also super simple, with just 3 ingredients! It’s also, of course, Paleo approved! This creamy apple dip would also be good with any other fruit, like bananas, or spread it over a piece of gluten-free toast. 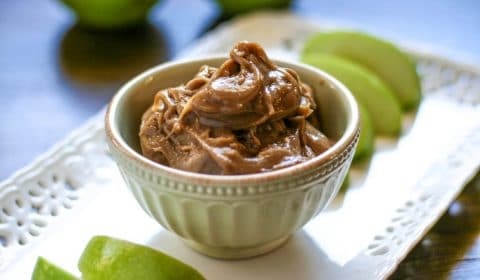 When looking for a Paleo friendly fruit dip, I wanted something that was similar to caramel but obviously much healthier than store-bought caramel dip. I also wanted something that was nut-allergy friendly, which is when I found sunflower butter. Wild Friends brand is my absolute favorite sunflower butter, especially the honey and chocolate versions. 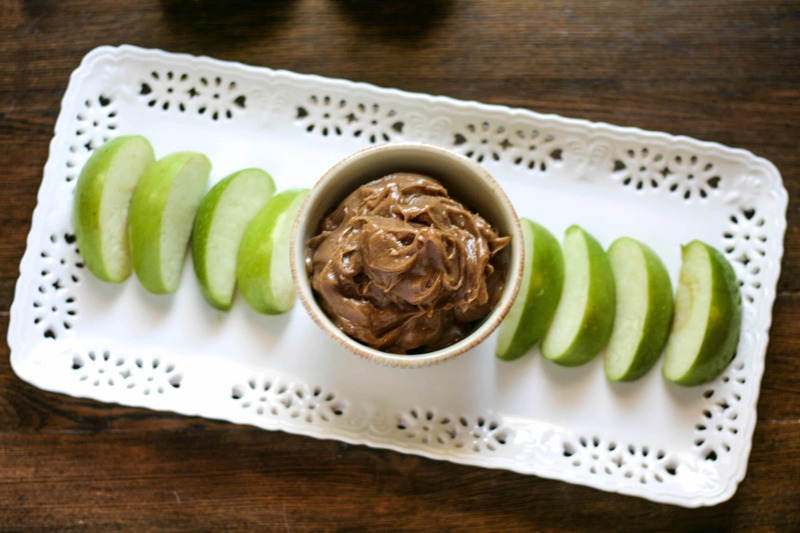 This creamy apple dip incorporates their honey sunflower butter. Serve with apples, bananas, gluten-free toast, or whatever way you’d like.